Make your wedding decoration stand out with these five gorgeous balloons. 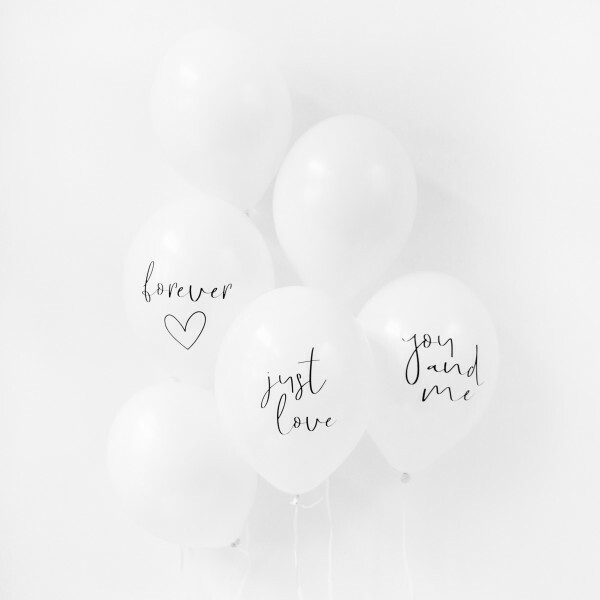 The set contains three balloons with a black lettering and two classical white balloons and is the perfect match to the color scheme of your dream wedding. This product does not include the decoration.